The well known Oregano is a great Forest Garden addition. 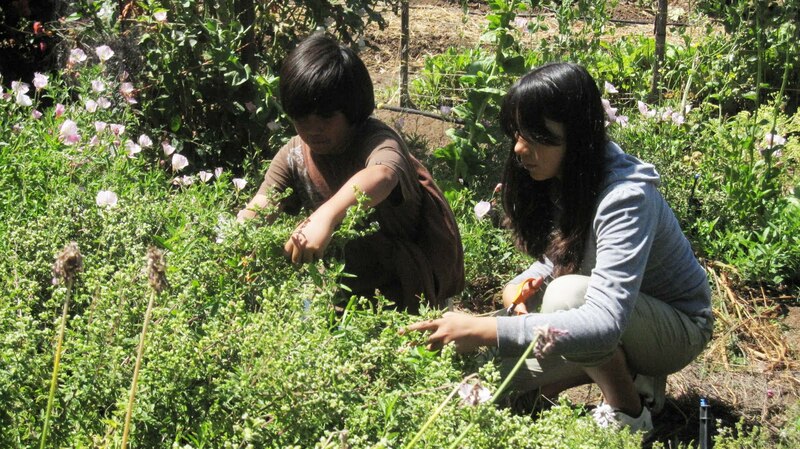 Great photo kids picking Oregano in the garden. 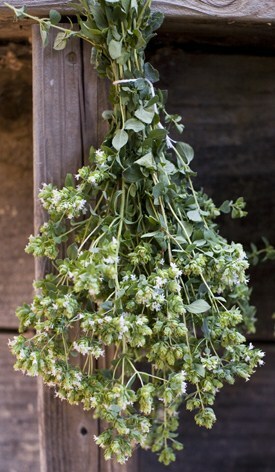 Oregano is a very common perennial herb whose deep green leaves are used primarily for cooking. It tolerates some shade and light foot traffic which makes it a nice groundcover plant. 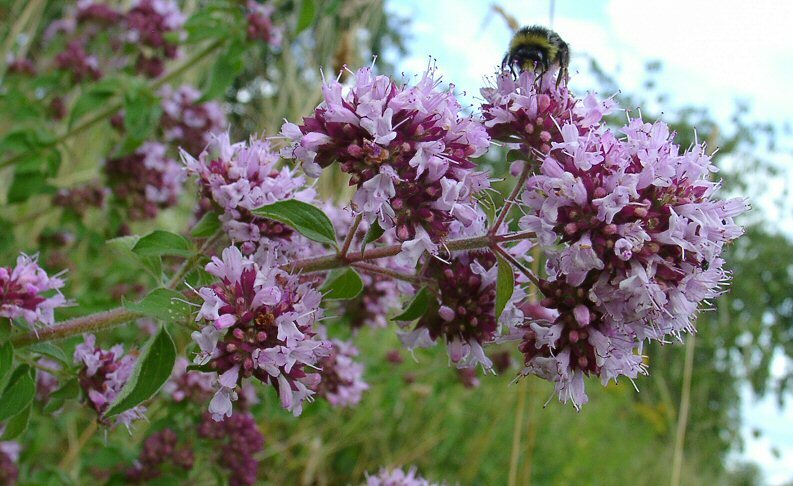 Its small pink flowers attract butterflies, bees, and other beneficial insects, and its strong aroma is believed to confuse pest insects’ ability to find host plants. 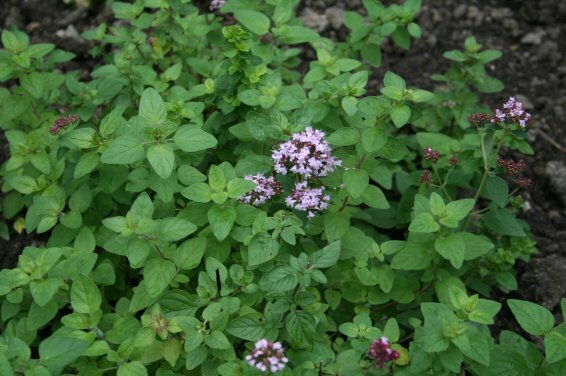 Everyone should grow a few plants of Oregano, and it is a great addition to any Forest Garden. 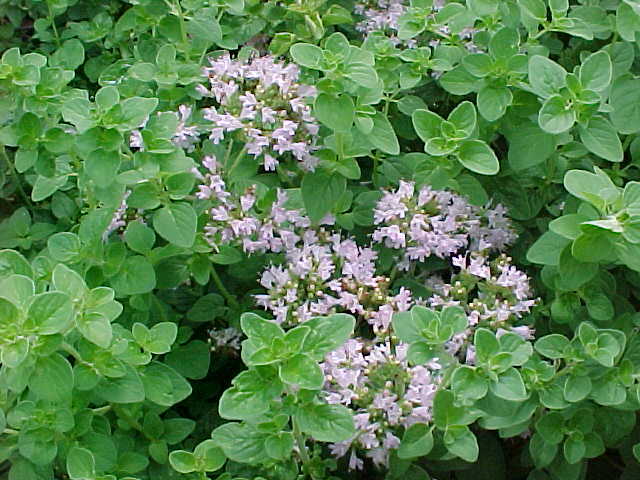 In the U.S., Oregano is primarily thought of as an Italian herb; however, Oregano is used in Middle Eastern, Filipino, Spanish, Portuguese, and Latin American cuisines. 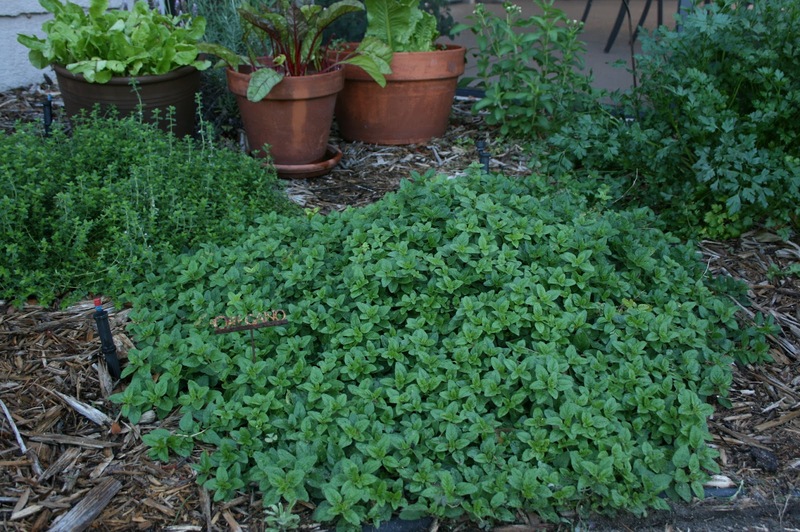 Oregano grown in colder climates tends to have less flavor… you may just need to use more! 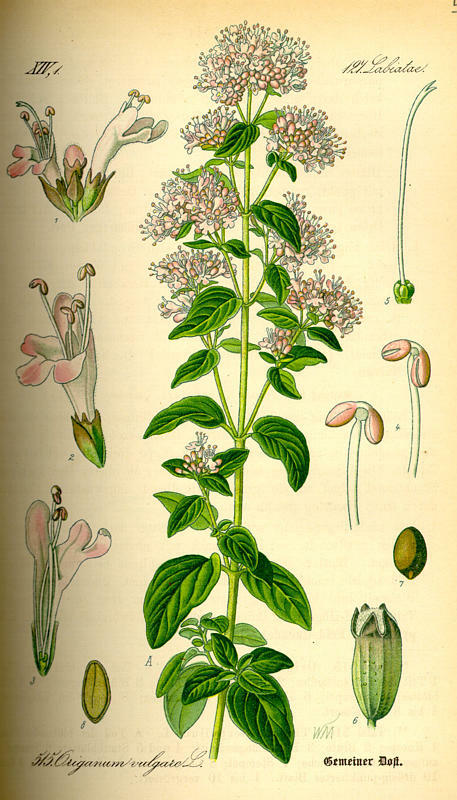 Hippocrates used oregano as an antiseptic. Cuban oregano (Plectranthus amboinicus), also in the Mint (Lamiaceae) Family, and Mexican oregano (Lippia graveolens) in the Verbena (Verbenaceae) Family are both commonly called “Oregeno” but are not true oregano. Oregano flowers are pretty and they attract beneficial insects. Cullinary herb – fresh or dried, raw or cooked… meats, poultry, fish, pasta, stews, salads, etc. Essential Oil used for aroma in soaps, perfumes, etc. Storage: Best if used fresh. Dried leaves can be used for sure, but the dried leaves lose a lot of flavor compared to the fresh leaves. Life Span: Basically not relevant as the plant can reseed and can spread through rhizomes. Can tolerate windy locations. Reportedly does not tolerate maritime conditions – I’ll let you know later this season. Propagation: Typically by seed. Division of clumps in Spring. Cuttings in late Spring. Maintenance: Basically none. It is possible for the plant to spread outside of its bounds while the central planting begins to die back a bit. If this occurs, consider taking clumps from the edges and replanting in the desired, cleared location.